For those interested in Hawaiian culture or who are staying nearby, this particular beach and cultural site will be of high interest. 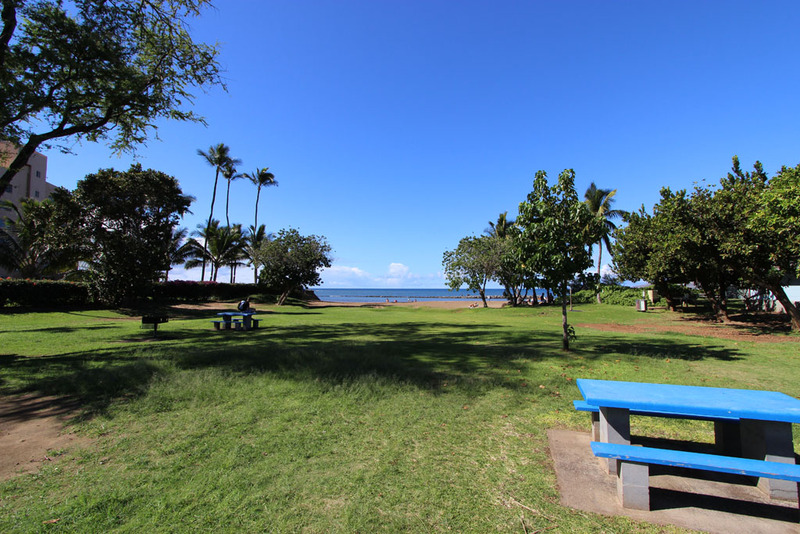 In a nutshell: Kalepolepo Beach Park is a historically significant Hawaiian fishpond and a quiet beach for those staying in the area. The grassy lawn has BBQs and picnic tables. 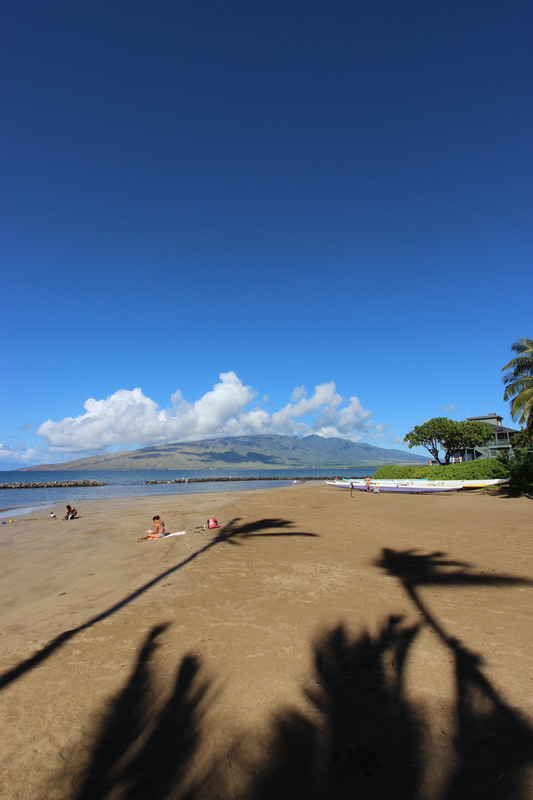 A small but lovely beach in North Kihei. This was the historical site of a thriving Hawaiian village, and is an important cultural archeological site for native Hawaiians. In fact, this is among the most accessible fishponds open to the public today. 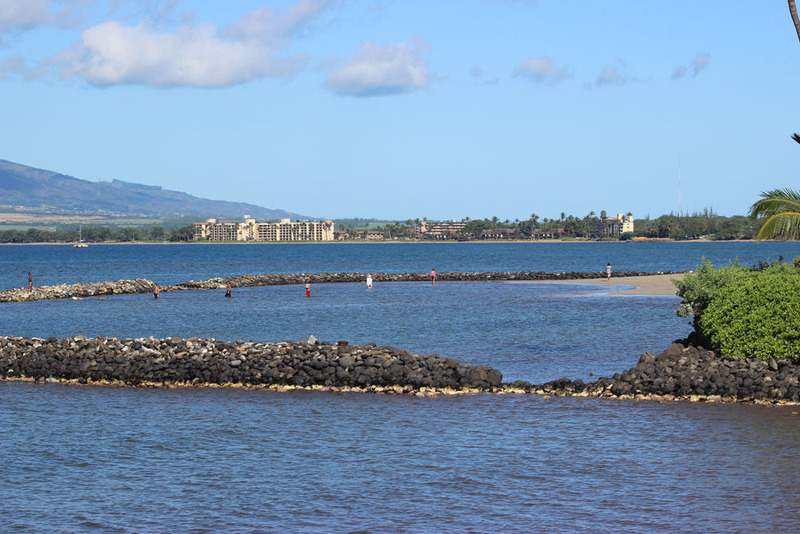 The ancient Hawaiian fish pond (Ko’ie’ie fishpond, one of three in the area) fronts the beach and walls the water off creating a calm shallow pool that is also perfect for keiki. The beach here is small, and uncrowded. With a dozen beaches that are the definition of perfection just minutes away, few visitors from the resorts further south will wind up coming here. From that perspective, this is more in the class of a “convenience beach” left for residents and visitors staying in the area (yeah, we’re that spoiled here!) For those looking to get away from crowds, Kalepolepo is also a nice escape for a BBQ (there are several in the park) or to simply enjoy a glorious sunset in peace. An interesting fact is that the water in the fishpond is fed by natural springs just under the surface – ancient Hawaiians understood this, and it is one of the reasons this fishpond was among the highest class reserved only for the use of Hawaiian royalty. Facilities: BBQs & Picnic Tables, Port-a-potty. No lifeguards. Kalepolepo Beach is one of my favorites. The waves are calmer and it is not crowded. You can catch beautiful sunsets here as well. They even have showers, picnic tables, and barbecue areas. The Whale Education Center is in the same parking lot and offers telescopes on the back deck for viewing the whales. This is a great place to swim and see turtles. The water is fresh from natural springs. This beach used to be reserved for only Hawaiian royalty. There is a reason for that. It is a very spiritual place. I love this beach! It is right across from the Koa Resort condos. It’s convenient and a very nice uncrowded beach. You can relax and really enjoy the Aloha experience here. We’ve visited this beach today and after reading through this site I think we had the right expectations (as in no showers, no life guard). The place and the view is somewhat nice, but the strong wind that day threw sand and dust making it unfitting for our purposes. It is imho the sort of a beach you could go to sit down and watch the sunset by the ocean – alone or with friends. 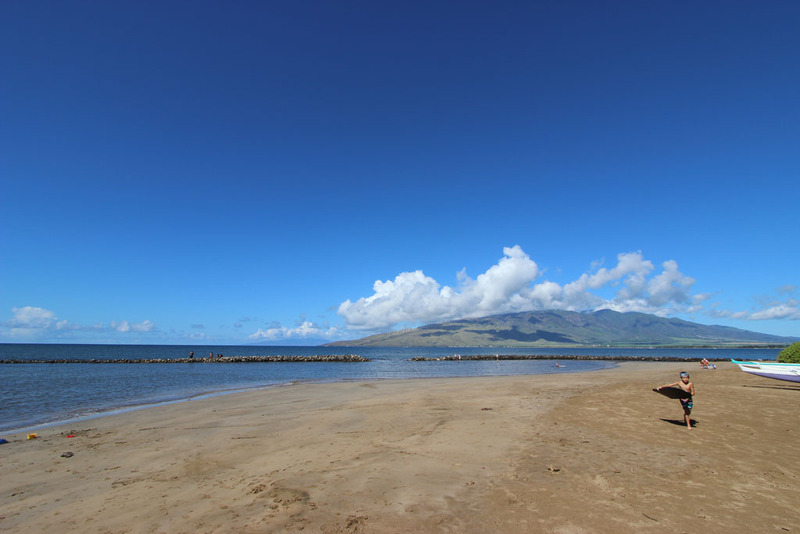 The strong trade winds are something that all Maui beaches experience from time to time depending on season and time of day. Suggesting this beach should be singled out for having something other than these ordinary winds is questionable. Mornings are usually always calm and the best time to enjoy our beaches! We’re leaving Canada in 6 days to spend 2 weeks at the Menehune Shores Condos. I really enjoyed your video presentation on the fish pond in front of our condo. I look forward to seeing it in person and learning more about the history and restoration plans.